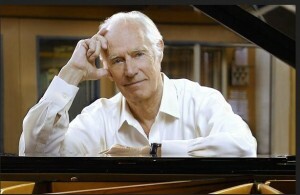 George Martin was the greatest record producer who ever lived. He was the most influential and seminal record producer who ever lived. He made the greatest A&R signing in the history of recorded music, and was the steward of the greatest band in the history of popular music. Popular music doesn’t exist as it does today without his direct influence. To myself and all of my brothers in the MPG, George was the standard bearer of excellence, vision, and risk taking to which we all try to hold ourselves. I had the enormous privilege and honor of knowing this great man for 18 years. My thought’s go out to Giles, Lady Judy and Family. This entry was posted in Uncategorized by George Glennon. Bookmark the permalink.